We specialize in the sales, promotion and diffusion of Canadian Inuit sculptures. We also possess the means necessary to the restauration and valuation of Inuit sculptures from all time periods. Whether you are making your first purchase or adding a piece to your collection, our highly qualified staff will know how to guide you during the purchase process. Our pieces are all certified unique and genuine by the Inuit Co-operatives of the Canadian Arctic and come with a certificate indicating their origin. Information on the artist (if available), is also included with your purchase. The Igloo Tag is a document issued by the Co-operatives and authorized galleries. 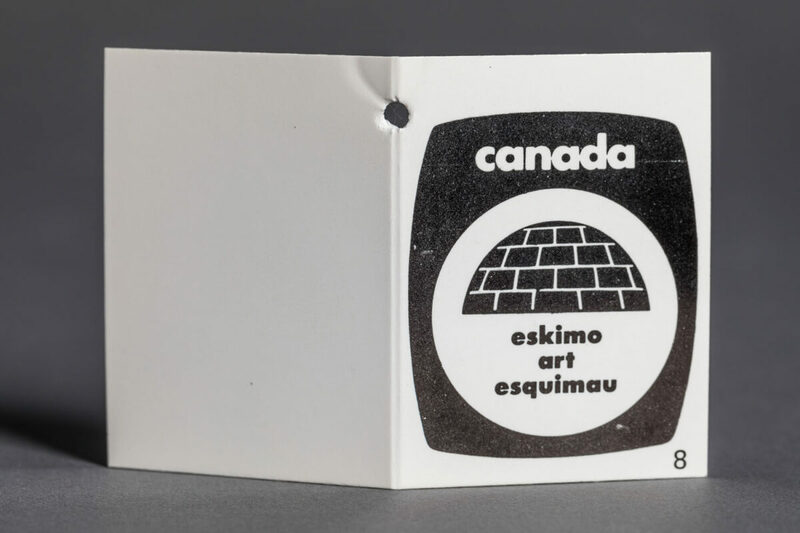 It proves that the piece is authentic and made by a Canadian Inuk artist. Our extensive knowledge of the Inuit art market coupled with our expertise in the field of Inuit sculptures allows us to offer you a professional valuation service. The valuation process involves a thorough research amongst existing documentation in order to establish the current value of the art work. When the research is completed, a certificate with a photo attesting the value of the piece is issued. Fees apply. We possess the necessary expertise and in-depth knowledge needed to restore Inuit works of art made with various materials. The costs are evaluated based on the gravity of the damage, each piece requiring particular care. Contact us to know more about the procedure.